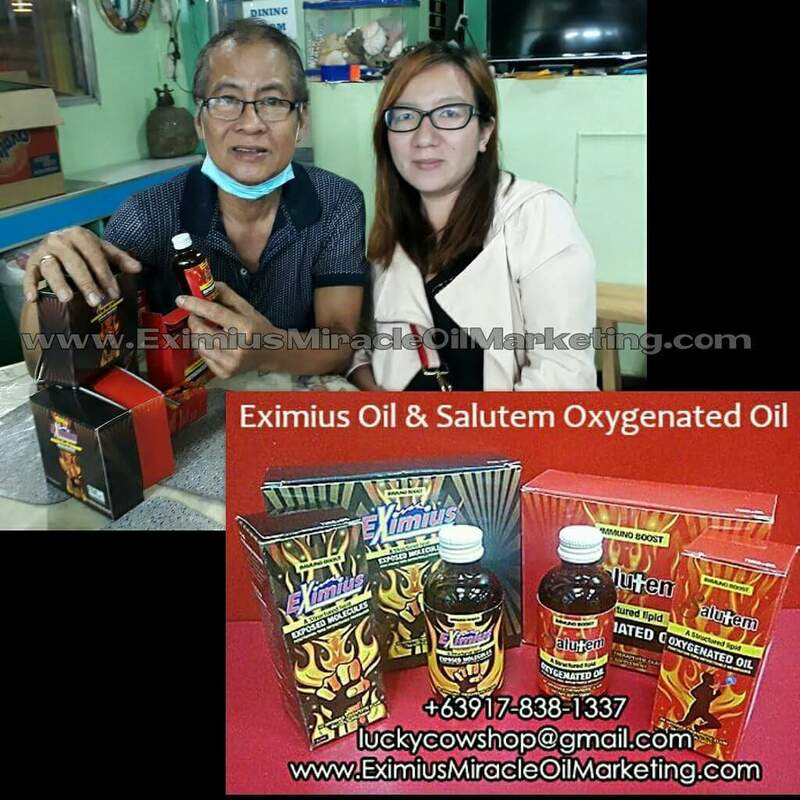 I would just like to talk about my buyer, recent buyer who bought Salutem Oxygenated Oil. We met that night. When I saw him, he seems strong but his hair is falling. He has a tube connected on his tummy. He is under chemotherapy. He's on his 5th chemotherapy. He has his chemotherapy done on St. Lukes. Stage 3 cancer of the esophagus. He has a hard time taking his food down from his mouth. If he doesn't like the taste of his food, he just shakes it. Then he just past it through the tube on his tummy. When we meet that night, when he take Salutem, a little later, I forgot if it's after how many minutes or hours, he felt hungry. The next day, he called me. He told me that he got hungry and he ate. The good thing is he ate his food using a spoon. He didn't shake (the food). He was able to finish the whole plate of food. He hadn't had a hard time swallowing his food. It just becomes normal feeling on his esophagus. It becomes normal he said. He becomes stronger. So, he bought more Salutem. This July, he is having his 6th chemotherapy. And that's it, Salutem has greatly improve his health (makes everything easier). And he got stronger. He felt he is stronger. And other than that, when he's eating, one of the reason why he is shaking is food is that he felt he wants to throw up the food that enters his mouth. He didn't feel he wants to throw up. He was able to finish his food on his plate. Amazing! It's just a spoon (of Salutem Oxygenated Oil). Actually it's 7 ml. So it's about 1 spoon and a half, like that. Yes he said it's 1 and a half spoon. So there would be more updates about him. Hope he'll get better. 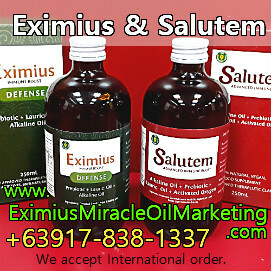 To those people with cancer or any other problem, even if you are under chemotherapy, hope you'll try Salutem. You won't know, this might be the one that will make you feel better.